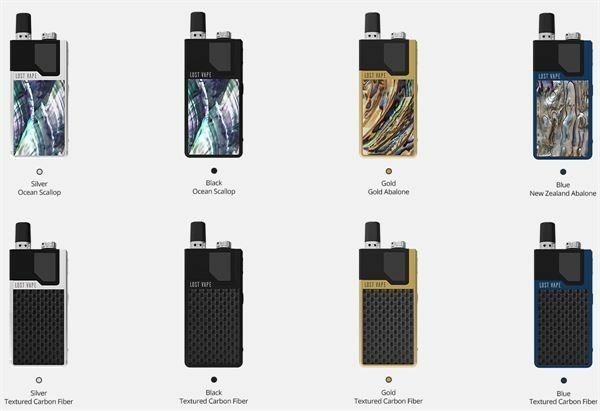 The Lost Vape Orion is the most extraordinary All-In-One (AIO) vape pod introduced to the market and delivers the best tech as well, currently, there is no other AIO vape mod other than the Orion, you can vape both Nicotine Salt and standard nicotine juice with the Lost Vape Orion Kit. There are loads of features crammed into this remarkable device, and they’re going to change the pod-based market as we know it. Viewed as a high-end source for vapour products, Lost Vape has gained extraordinary respect from the vaping community. 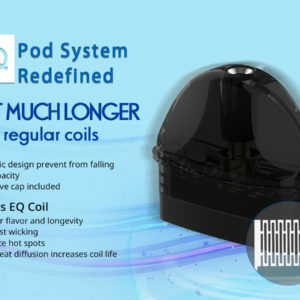 It has achieved such great success due to its ultra-durable body of quality-manufactured vapour products. 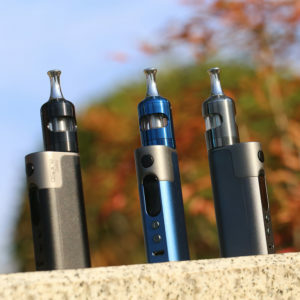 From its outer shell of durable materials to its use of iconic design and technology, Lost Vape is a brand that exceeds all expectations, and then some. Remarkably crafted, the Lost Vape Orion Pod System looks outstanding from the top of its 4mm bore proprietary drip tip to the bottom of its USB equipped base. It’s constructed of stainless steel and features an inlay available in several finishes. 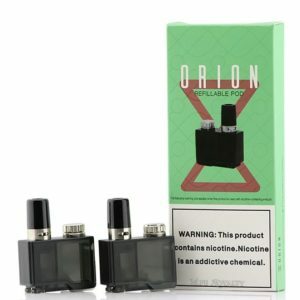 Its body boasts a unique shape, has an all-in-one design, and has an integrated Orion Pod with a 2ML e-liquid capacity, threaded cap fill port, adjustable airflow, a 4mm drip tip, and is available in 0.25-ohm and 0.5-ohm pods. What’s most impressive though is the internally equipped DNA GO 40W Chipset, which is capable of up to 40W with its boost output and shares automatic settings for MTL and DTL users, controlled via the adjustment button. The wattage profiles can be changed via the E-Scribe Companion Software, allowing you to fine-tune the output. 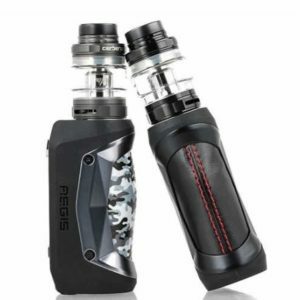 Powering this remarkable device is a built-in 950mAh battery, where you’ll get 450 puffs per charge. 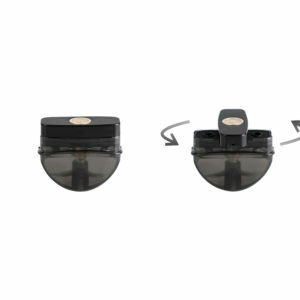 The battery life indicator is present just above the adjustment button and accessed via two clicks of the firing button. When charging is required, a micro-USB port is available that allows both firmware and software upgrades, as well as charging. The most impressive feature is its Replay Mode. The DNA feature gives you the ability to capture the ‘perfect puff’ and replay it for the satisfaction of flavor and vapor. Not to be confused with temperature control, Replay Mode was designed to maintain taste and incredible consistency.